Healthaid HEALTHAID KOREAN GINSENG 250MG Product #: SOM Price: Rs.1224.00 Rs.1224.00	Available from: SAVEONMEDICALS.COM In stock! Order now! Ginseng is the most famous herb of the Far East and is used by people word wide for extra strength, vigour, vitality and drive. Korean ginseng is a particular strain of ginseng that is so named because it is cultivated in Korea. Korean Ginseng capsules by HealthAid have eight percent of ginsenosides in each capsule, which is the active ingredient in Korean Ginseng. This high potency one-a-day capsule contains 600mg of the finest pure standardised Panax Ginseng extract organically grown in the Korean foothills. What is the frequency of use of HEALTHAID KOREAN GINSENG 250MG? Have you been prescribed HEALTHAID KOREAN GINSENG 250MG by a doctor? How do you rate HEALTHAID KOREAN GINSENG 250MG on price? Q1) Is HEALTHAID KOREAN GINSENG 250MG effective? Q2) What is the frequency of use of HEALTHAID KOREAN GINSENG 250MG? Q3) Have you been prescribed HEALTHAID KOREAN GINSENG 250MG by a doctor? Q4) How do you rate HEALTHAID KOREAN GINSENG 250MG on price? 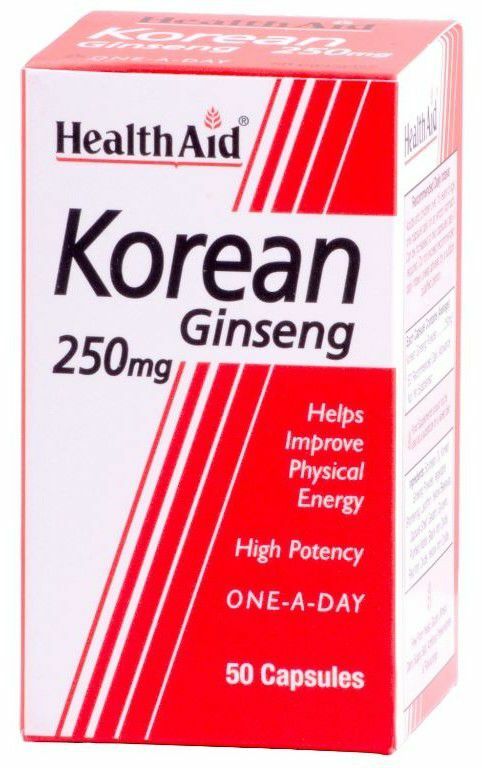 Q5) What is your overall rating of HEALTHAID KOREAN GINSENG 250MG? Is HEALTHAID KOREAN GINSENG 250MG effective?